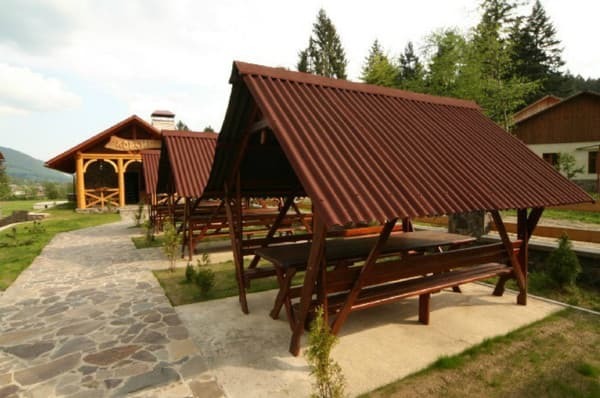 The hotel "Zhdi nya Єvo" is located in the village of Zhdenievo, among the picturesque beech and coniferous forests, in close proximity to the ski lifts. 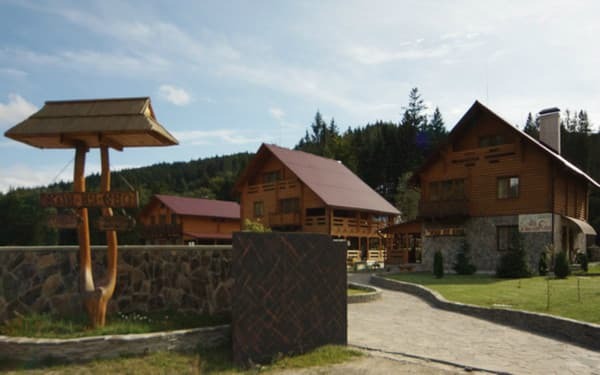 The hotel complex consists of two wooden cottages, which are represented by 12 cozy rooms of the "luxury" and "junior" class. 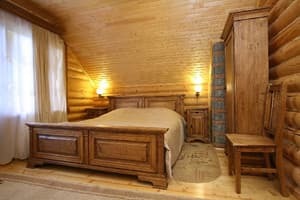 Each room of the hotel "Zhdi nya Єvo" is equipped with comfortable furniture, TV, refrigerator and bathroom. Free Wi-Fi is available. 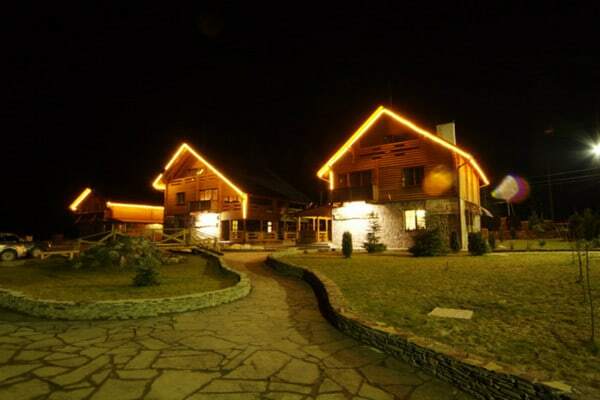 Try the dishes of Transcarpathian cuisine in the hotel's Inn. The hotel has a sauna, free parking for a car. 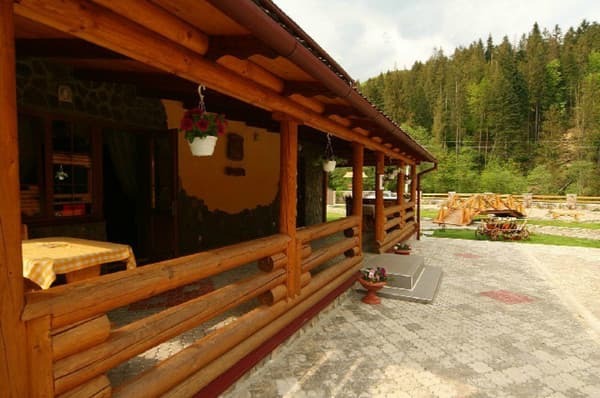 It is possible to organize an excursion in the Transcarpathian region. The distance to the nearest ski lift is 100 m. There is a rental of ski equipment. PRICES MAY CHANGE, IT IS REQUIRED TO RECEIVE INFORMATION FROM THE OPERATOR. 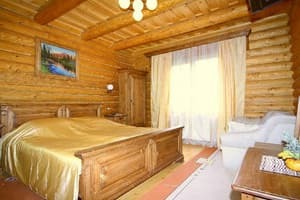 Description of the room: A cozy 2-bed suite is a room in a wooden mansion. The room has a double bed, TV, refrigerator, wardrobe. A bathroom in the room (shower, washbasin, toilet, hot water, hairdryer). From the room there is access to a large balcony-gallery and a separate exit to the street. 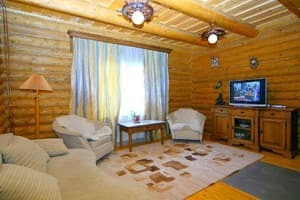 Description of the room: Cozy 2-room apartment in a separate wooden cottage. 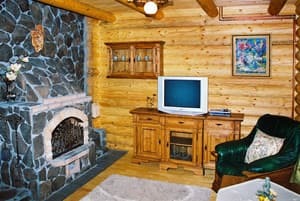 The living room has a large fireplace, a refrigerator, TV, electric kettle, a wardrobe. In the bedroom there is a double bed, carpet, TV, bathroom (shower, washbasin, toilet, hairdryer, uninterrupted hot water supply). Spacious open balcony-veranda. Description of the room: There are two rooms in the room: a living room and a bedroom. In the bedroom there is a wide double bed, in the living room there is a fridge, a TV, an electric kettle. There is a wardrobe, an additional place - a folding sofa, a bathroom (shower, washbasin, toilet, bidet, hairdryer). The room has a large verandah balcony and a separate exit to the street. Description of the room: Comfortable room with a living room and a bedroom. In the bedroom there is a double bed, in the living room there is a fridge, a TV, an electric kettle. There is a wardrobe, a bathroom (shower, washbasin, toilet, hairdryer). The interior is fully maintained in the Carpathian style. The room has a large balcony-veranda. 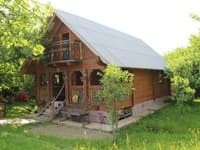 Recreation complex "Zhdi nya Єvo" is located on the outskirts of the village of Zhdenievo, near the complex (100 meters) there is a ski run 800 meters long with a drop of 200 meters. By public transport: trains Uzhgorod direction - to the station Volovets, then by bus (except Saturday and Sunday) to Zhdenevo. By car: along the highway Kiev - Lviv - Chop (E-50 / M-06), after the village of Nizhnie Vorota turn to Zhdenievo. At the end of the village to the left of the road you will see the hotel.